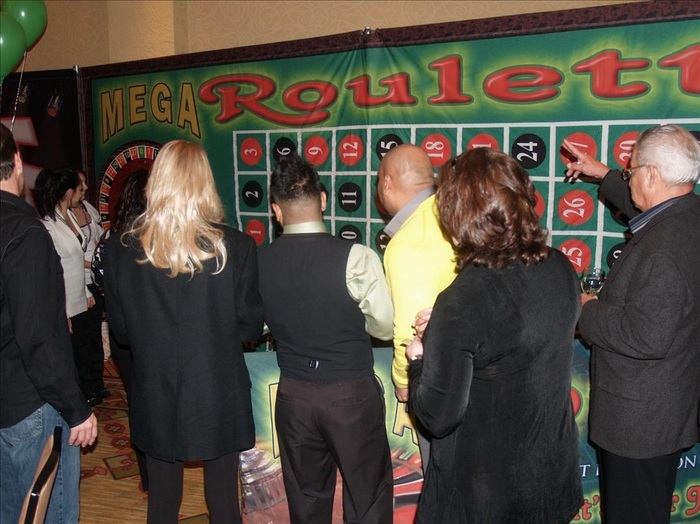 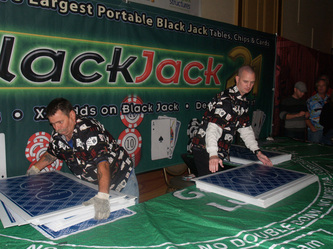 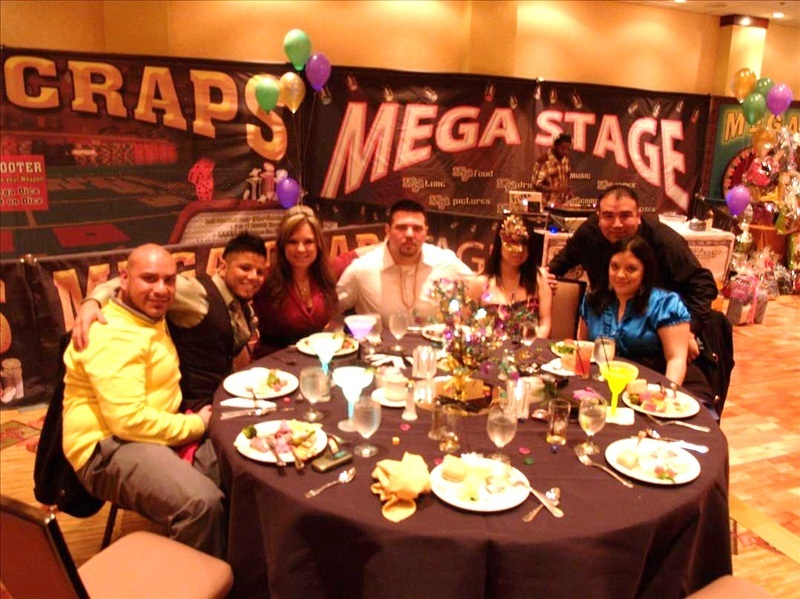 Mega Casino Holiday Parties - Interact Event Productions - Corporate Event Planning at Wholesale Prices! The Mega High Roller Casino is exclusive to Interact Event Productions. 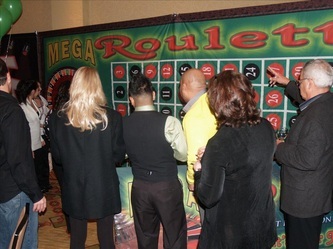 It the look and feel of a Vegas Style Casino on a Mega Scale! 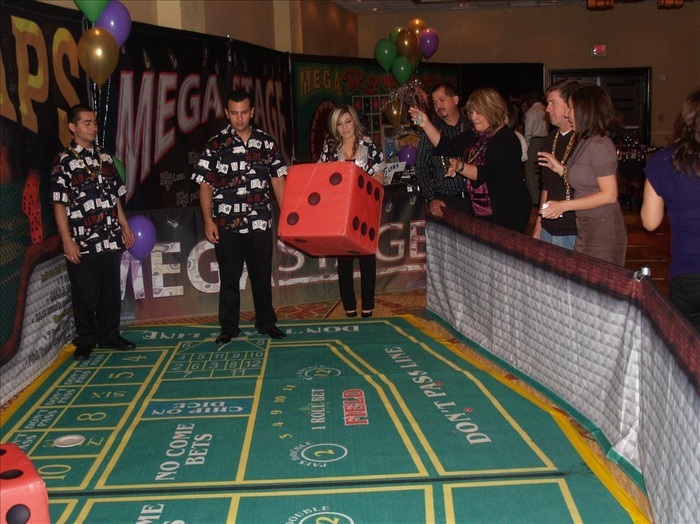 We have Mega Dice, Mega Chips and a Mega Huge Craps Table! Perfect high energy casino entertainment. 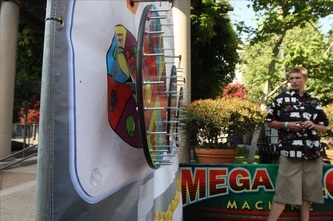 Safe, easy, fun and interactive for the whole group. 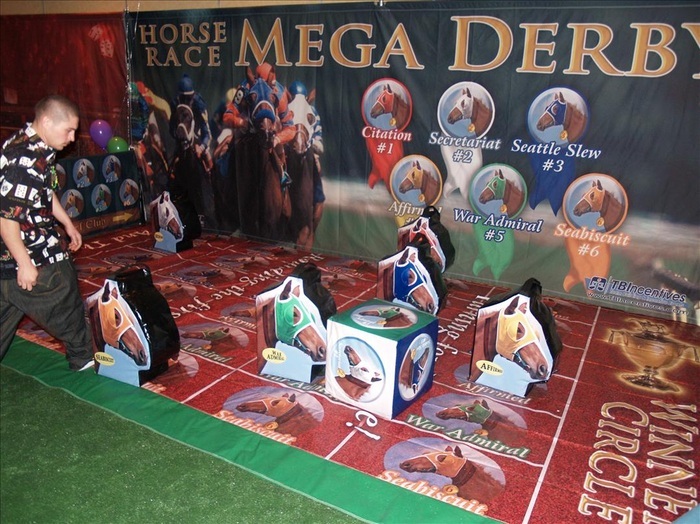 Participants will play for exciting prizes and of course, bragging rights!